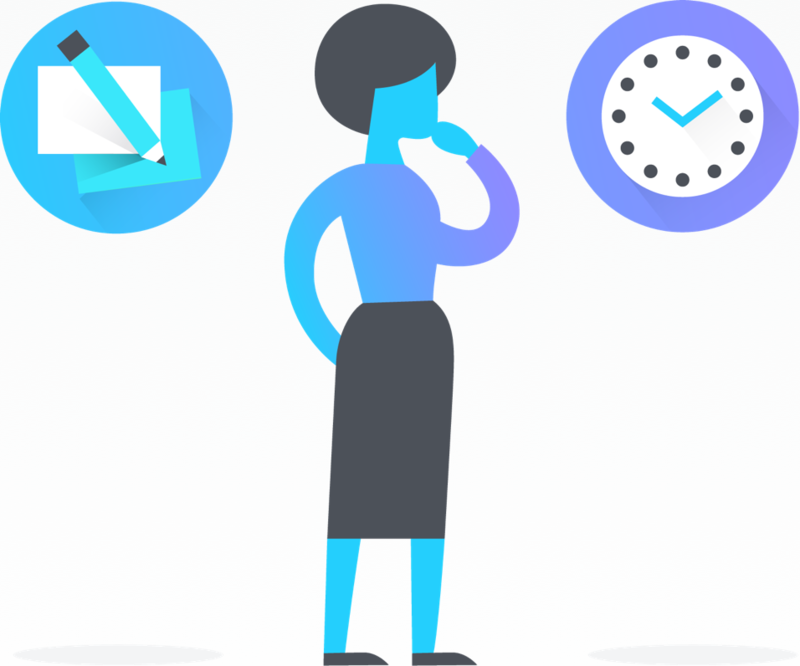 With Asana Enterprise, Service Accounts enable Asana administratorsadministrators An Organization's Administrator can update the Organization settings from the administrator console. 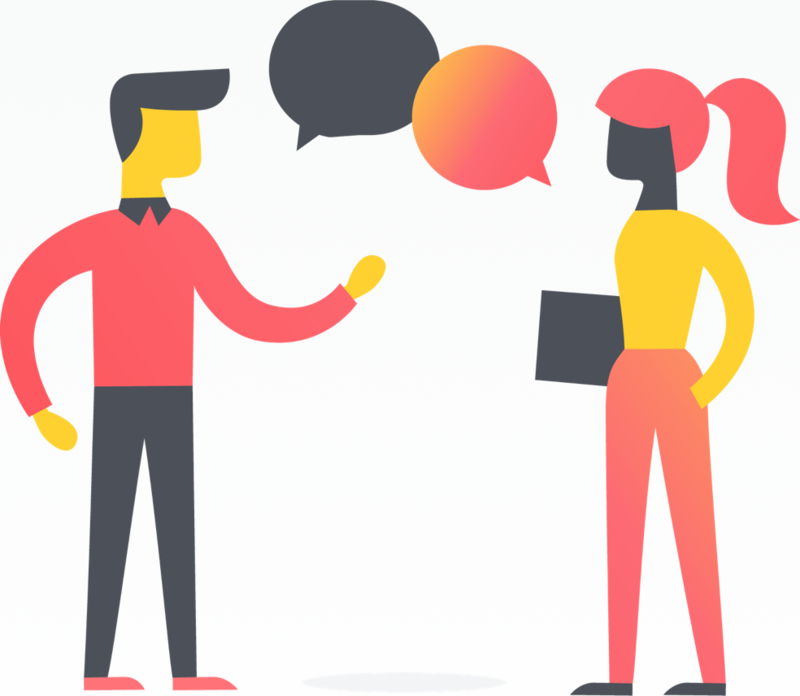 Read more to have complete access to all data in their Organization and export it through the Asana API, allow for more powerful reporting options and build automations and integrations more easily. More information on using the Asana API can be found here. 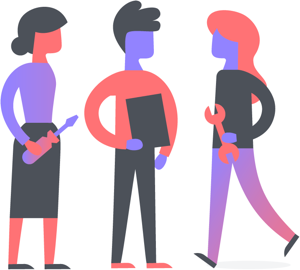 Learn more about Asana Enterprise here. 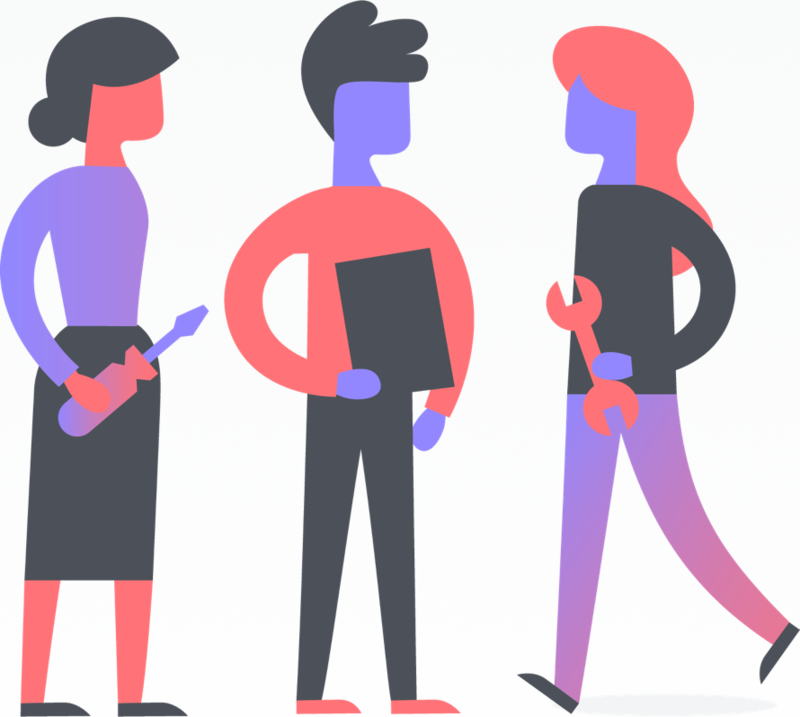 Build organization-specific integrations between other internal tools and Asana, and much more. 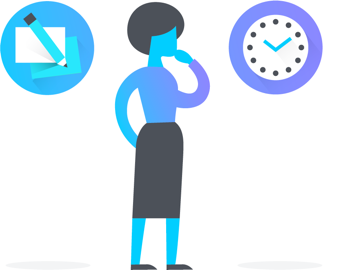 Admins can view the list of Service Accounts in the Organization settings at any time, and rename or deauthorize accounts that are no longer needed. You can provide Service Accounts with a name and profile picture, and action items as you would from a normal user account. 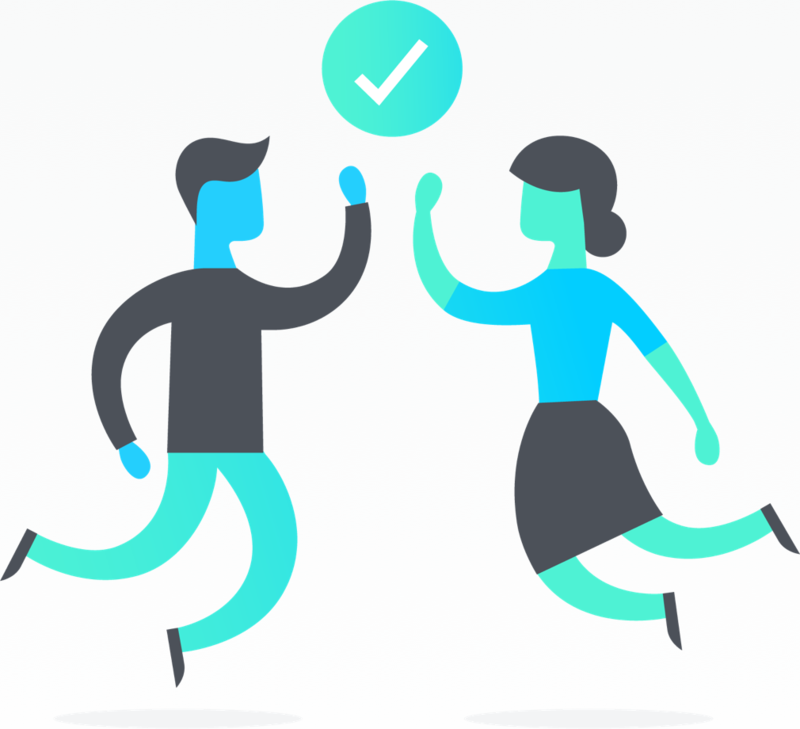 Use Service Account tokens as organization-level substitutes for Personal Access Tokens. 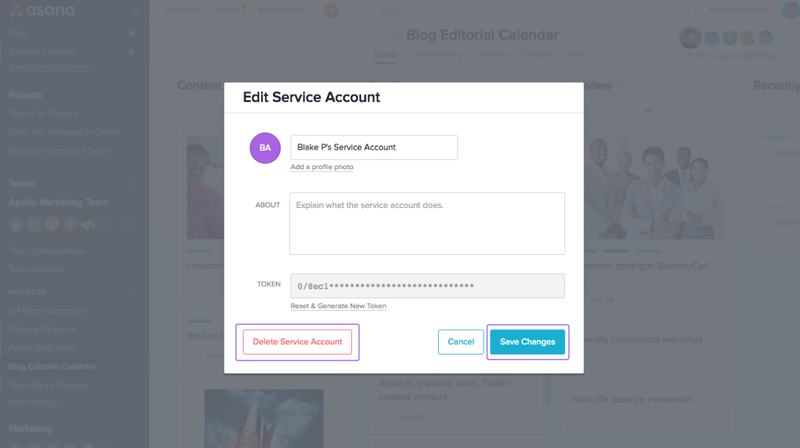 Click Edit beside an existing Service Account to open the service account menu. Service Accounts have full programmatic access to your Organization’s data. Make sure not to hardcode Service Account tokens into your programs, and regularly review and deauthorize tokens no longer in use. From the Edit Service Account screen you can save your edits and delete the service account. 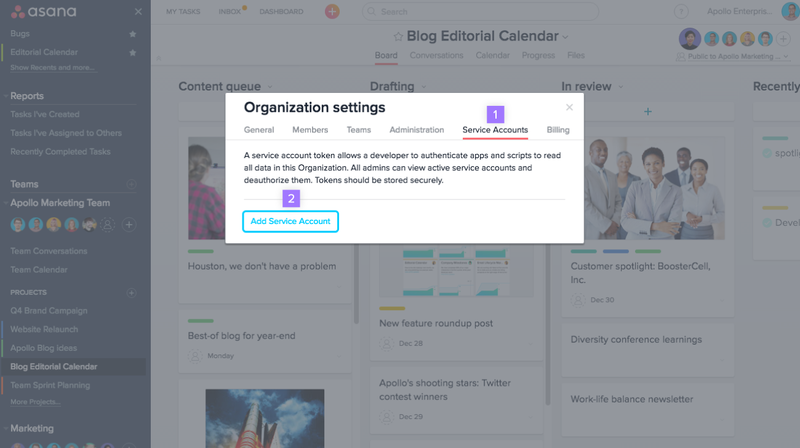 You will not be able to log in to Asana as a Service Account. 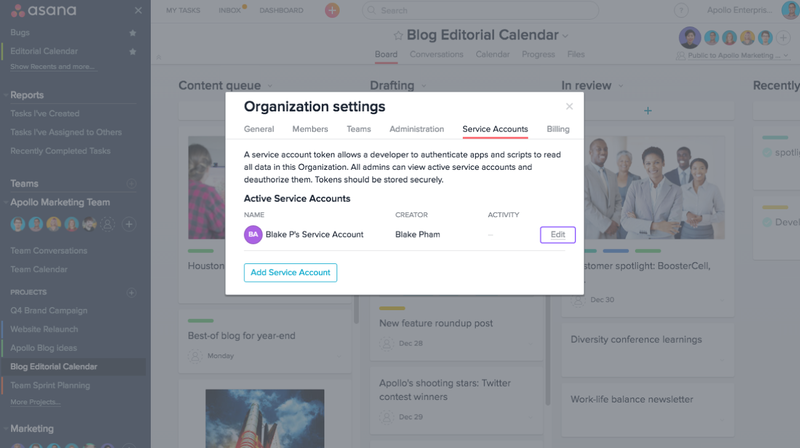 Service Accounts only interact with your Organization through the Asana API.